Southern New Jersey is so full of hidden gems, whether you're planning a seaside wedding, something more rustic, or an over-the-top elegant affair. Wedding venues in southern New Jersey include options as diverse as wineries, gorgeous estates, beaches, inns, restored barns, and museums. The one constant? Most southern New Jersey weddings include an epic cocktail hour and lots of food. There are photo ops everywhere in the Garden State, whether you're dreaming of having a mountain view or a cityscape as the backdrop for your reception. Your choice of southern New Jersey DJs will be similarly diverse, given the locale's proximity to the Philadelphia metropolitan area. 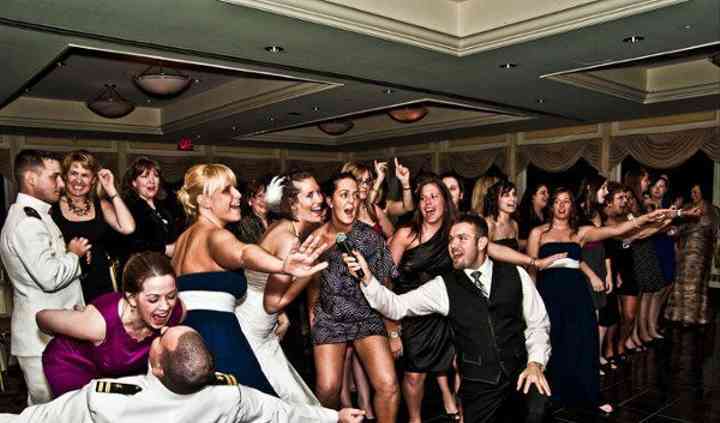 Whether you want rock and roll or classical, you're sure to find a wedding DJ in Southern New Jersey who can make your reception vision a reality. As noted above, there are a lot of wedding DJs in southern New Jersey, which means the challenge is not finding one, but rather choosing between them. You'll have more options if you begin your search early, and a greater chance of finding an amazing southern New Jersey DJ service that fits into your wedding budget. In this area, you'll likely spend about the national average for entertainment at your wedding reception, whether you have a DJ, a wedding band, or both. Look for wedding DJs in Southern New Jersey who are engaging and trustworthy, and remember that your DJ will be doing more than just playing music at your reception. He or she will be your MC, introduce you and your wedding party, and set the mood with music. Some DJs can also bring extras like lighting rigs and video displays. Given that, it's not usually an area where couples try to economize. The questions you ask wedding vendors during your first interview should help you get a feel for how they will perform at your reception. In general, it is a good idea to ask about price and availability, performance style, their experience with your venue, any extras you're looking for, and how much of a deposit you'll need to pay to book them. From there, you can ask about everything from do-not-play lists to overtime fees. Just remember to always ask for references you can call directly. 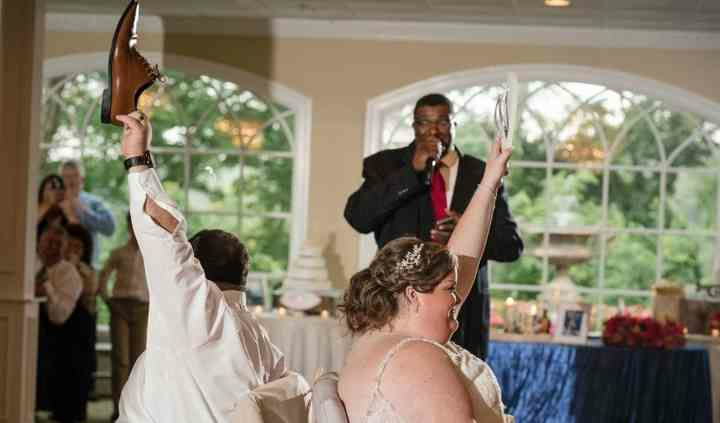 Tip: It can be tough to keep track of the many vendors you'll interview before choosing your favorites, so keep track of Southern New Jersey DJs and other vendors in a wedding vendor manager or spreadsheet. DJs are more than just entertainers! While they do play music, they're also essentially the host of your reception and will work hard to keep it flowing smoothly. Your wedding DJ will also help guests transition from showcase moment to showcase moment, solving problems along the way. Whether dinner is late or there is a problem with the cake, your DJ can keep guests happy so they never even notice that there was a hiccup. Remember, experienced Southern New Jersey DJs have seen it all! Getting stressed? WeddingWire has comprehensive wedding checklists and other wedding planning tools designed to make planning a ceremony and reception easier.